Well, I have a confession to make! As I prepared my Design Team project for As You See It Challenges, I was almost certain that we were supposed to use a technique that we've never used before. Then, as I posted it on the challenge blog, I saw that I was way off base. We were supposed to use a sentiment that we love. Ahem! I had already spent hours on the no line watercolouring technique and I wasn't about to start over, especially as I had been fighting a migraine all day. Fortunately, the stamp set I had chosen to use with my watercolouring, Birthday Blooms, has some really lovely sentiments, so while they may not be my favourite sentiments, they are ones that I love. Keep in mind, I thought this was supposed to be a technique I've never tried before, so I have never done 'no line watercolouring' until today. 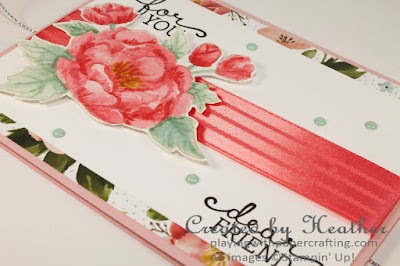 I'm no expert, but I did have expert help with this tutorial from Splitcoaststampers. I have more to learn and lots to practise, but I'm fairly pleased with the results. For no line watercolour, basically, you stamp your image in a really light ink and then use watercolour techniques to fill it in. 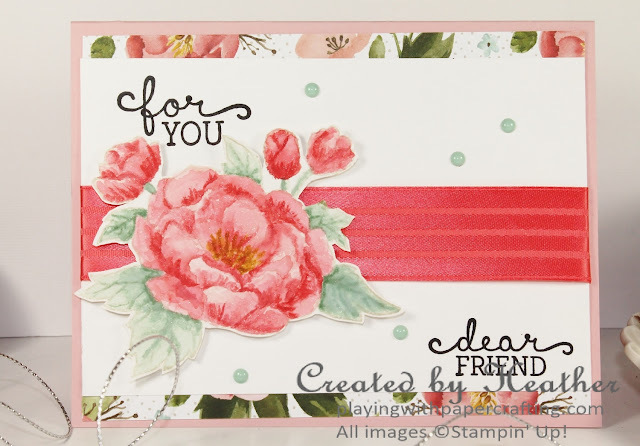 I stamped the image from Birthday Blooms in Sahara Sand. 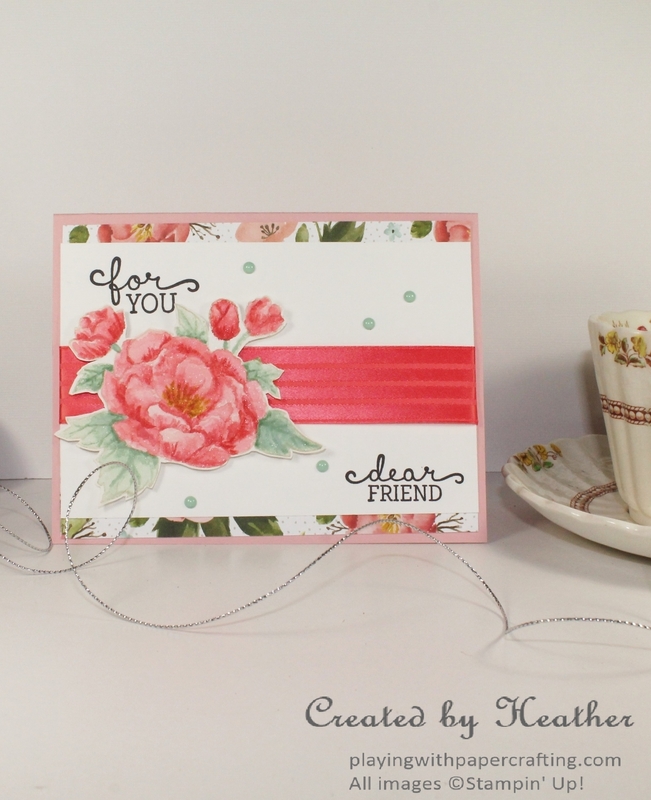 To do the watercolouring, I used Stampin' Up! inks and a good watercolour paintbrush that I received for Christmas. Watermelon Wonder, Mint Macaron and Delightful Dijon, all 2015-17 In Colours, formed my palette. The key to successful watercolouring seems to be laying down colour in layers and drying or setting them with your Heat Tool in between layers. 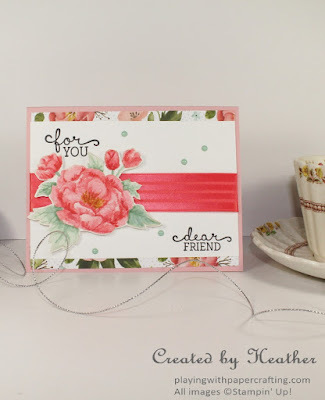 I think you'll have the best results if you want to try this technique, by watching the Splitcoaststamper's tutorial and following her directions. Give it a try! It's fun! If you know this stamp image, I cut off some of the tiny leaf sprigs when I fussy cut the image because they were so tiny to properly water colour, and hard to snip out. You don't really miss them, I think.